With the seasons changing and the temperature dropping, some students may start to feel a bit under the weather. 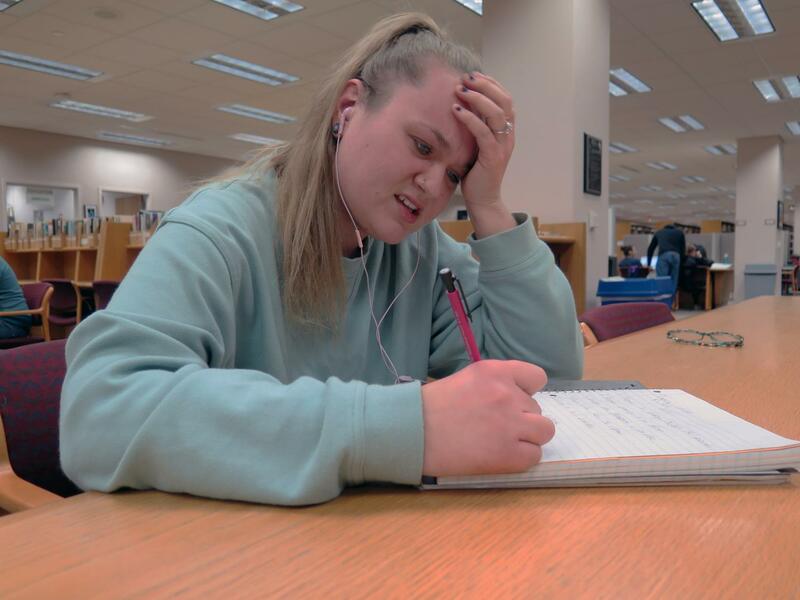 Seasonal Affective Disorder (SAD) is all too real for those who experience irritability and depression within the winter months–not only does SAD affect the everyday lives of students, it can also be taking a toll on their academic performances. Social Worker Valerie Jackson from the Counseling and Psychological Services Office (CAPS) on campus says there are signs to watch for if someone has SAD, but they should be diagnosed officially by a clinician before seeking therapy or taking prescriptions. “When fall begins and the sun is decreased; their mood begins to change. They may feel more depressed, irritable, easily angered, have mood swings, feel lethargic and lose interest in activities,” said Jackson. As for losing interest in activities, this can translate over into academic work, which students with SAD may find a lack of motivation for. However, each individual may experience their own set of symptoms that vary. UM-Flint Senior Emily Machala has been battling SAD seasonally for roughly 10 years. Since SAD is more common in the fall and winter months, it takes root right around the time classes start. However, Machala has found a routine that works for her when it comes to combating SAD. Being around friends and family, fixing her diet and exercising more is a big part of that system. If you or someone you know is experiencing SAD and has been diagnosed by a doctor, visit CAPS on the second floor of the UCEN to learn more about the therapy and counseling services they offer. The office can be reached by phone at (810) 762-3456 or by fax (810) 762-3498. Their office hours are Monday through Friday from 8 a.m. to 5 p.m.